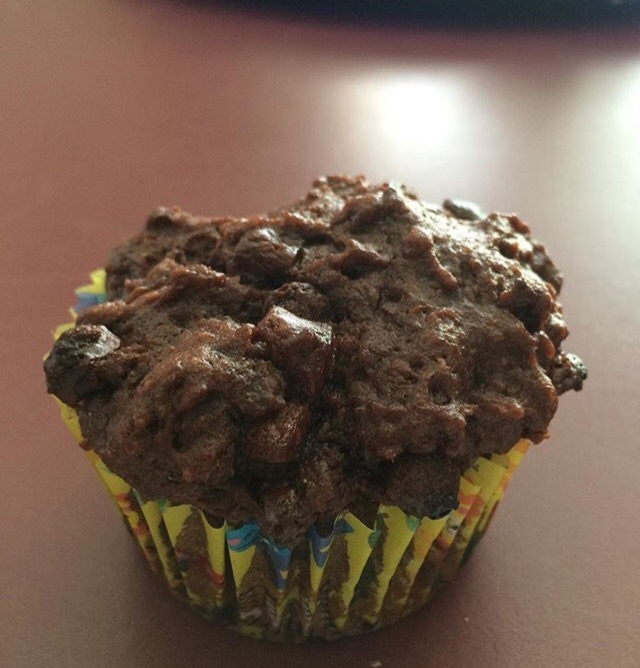 Because my co-worker is a fantastic lady who can appreciate my ability to track macros while she doesn’t understand it fully, she notified me the other day that she would be making her triple chocolate brownie muffins. They’re mostly vegan with the except of the chocolate chips that she used, but were 100% delicious. This morning she delivered me an old school recipe card so I could share the recipe with you all. Heat oven to 375 degree. Stir until well mixed and then fold in chocolate pieces. Batter should be thick, but if you believe it to be too thick add water 1 tablespoon at a time. The same principle if batter is too thin – add a little more flour 1 tablespoon at a time. Evenly put into line muffin tins. Estimate fill around 10 to 12 muffins. Cool completely on a wire rack so muffins don’t continue to cook. Estimated macros for a muffin: 8f/32c/5p – depending on brands you use and if you adjust ingredients.